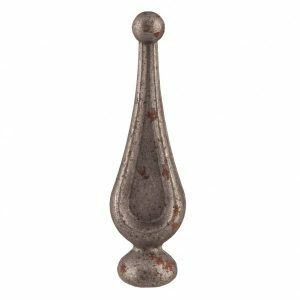 The GRD 5 features an elegant teardrop shaped railhead with a safety top (small ball). 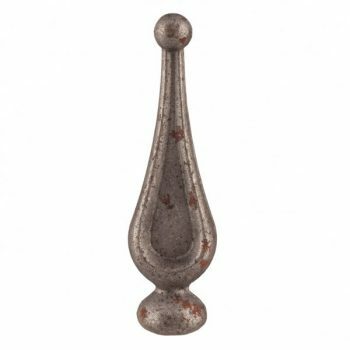 This railhead is flat in shape. 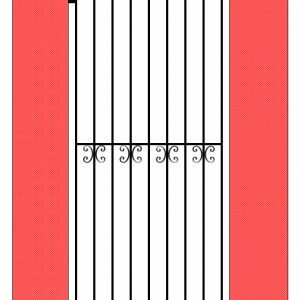 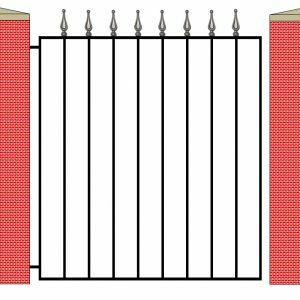 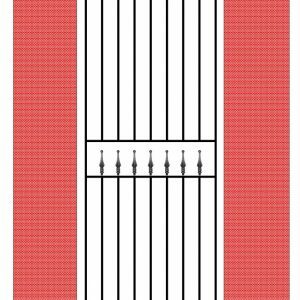 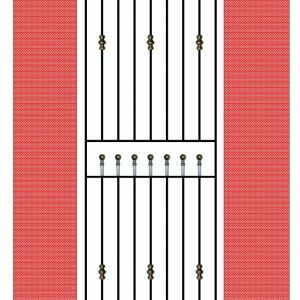 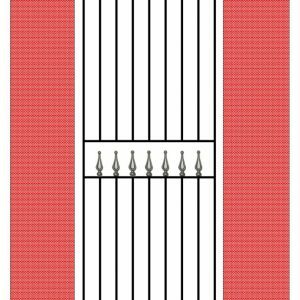 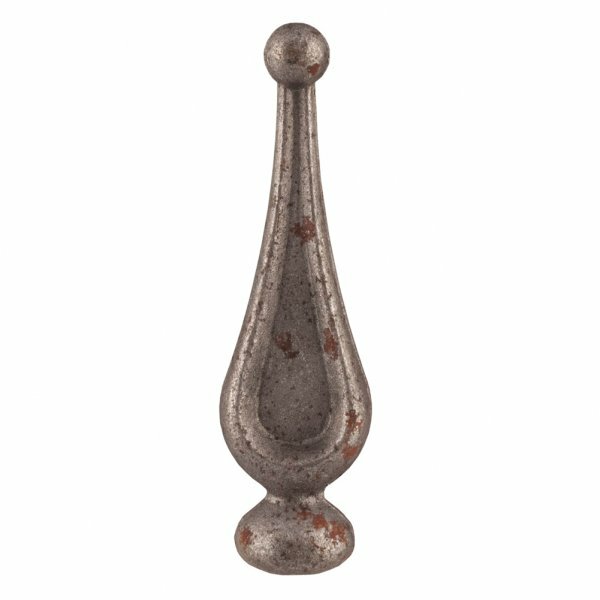 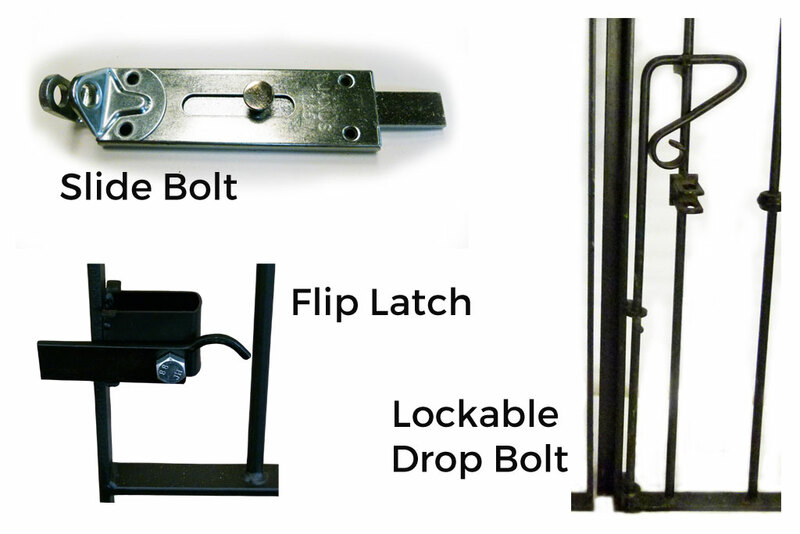 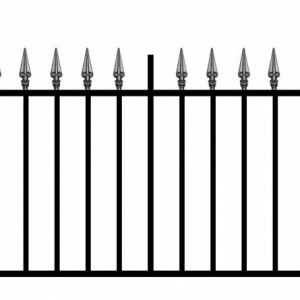 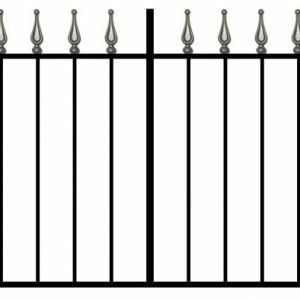 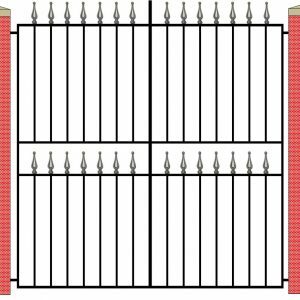 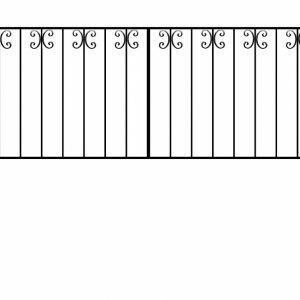 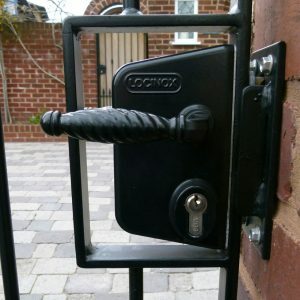 This product matches our GRD 5 Single Gates and GRD 5 Railing. 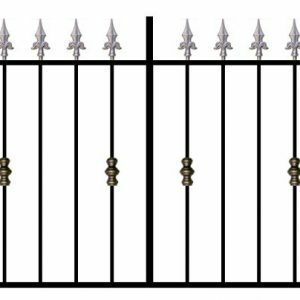 Made to order using 12mm solid round vertical steel bars spaced at 100mm (4”) intervals. 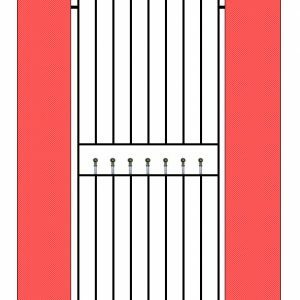 The framework is made using 40mm x 8mm top and bottom horizontal rails and 40mm Square Hollow Section (SHS) for the verticals. 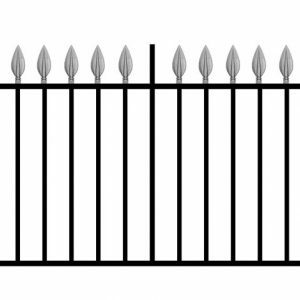 The railheads measure 120mm x 35mm on a 30mm round base. 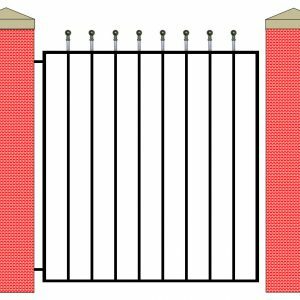 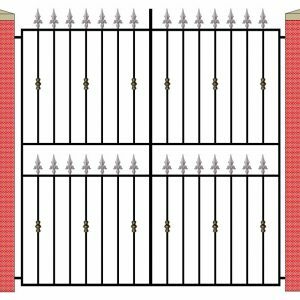 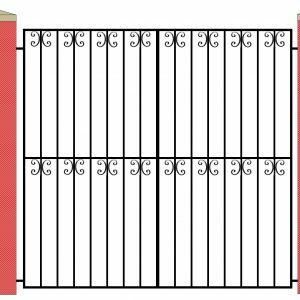 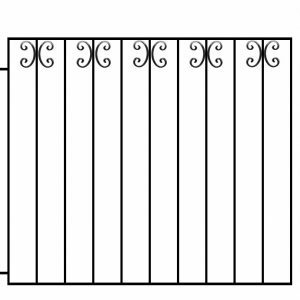 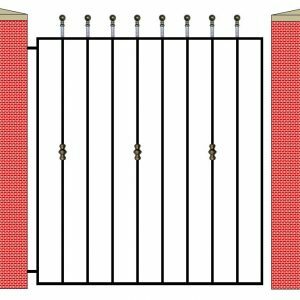 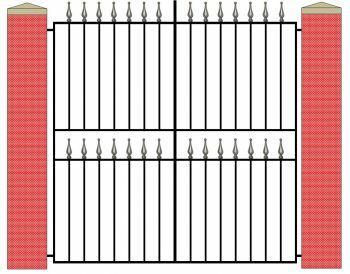 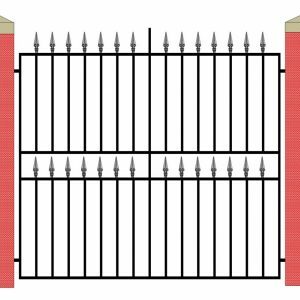 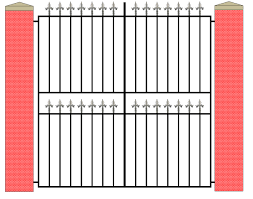 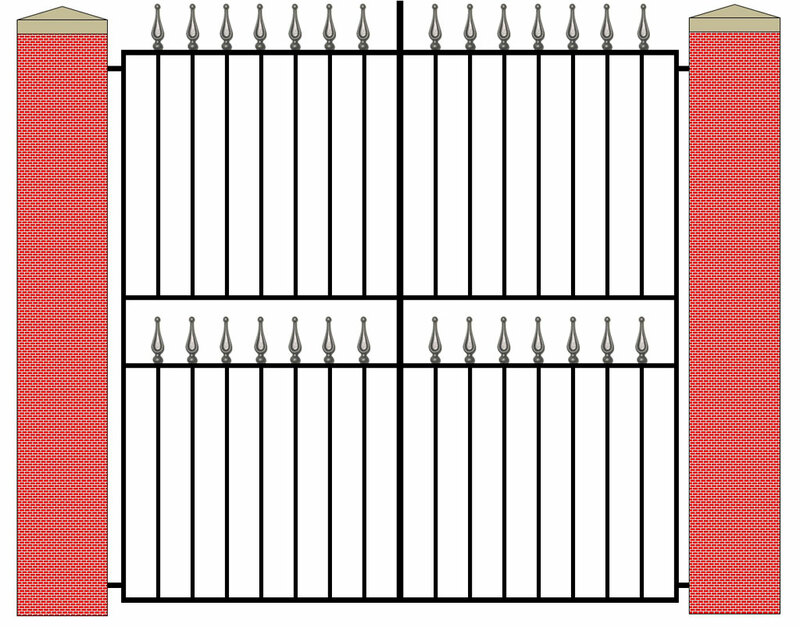 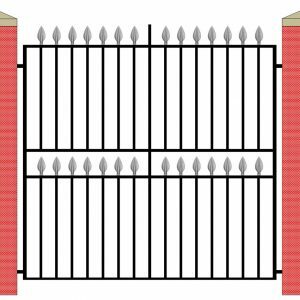 Please note that we make the 914mm (3ft) and 1220mm (4ft) high gates with one row of decoration (shown above right) and the 1830mm (6ft) high metal gates with two rows of decoration (above left).